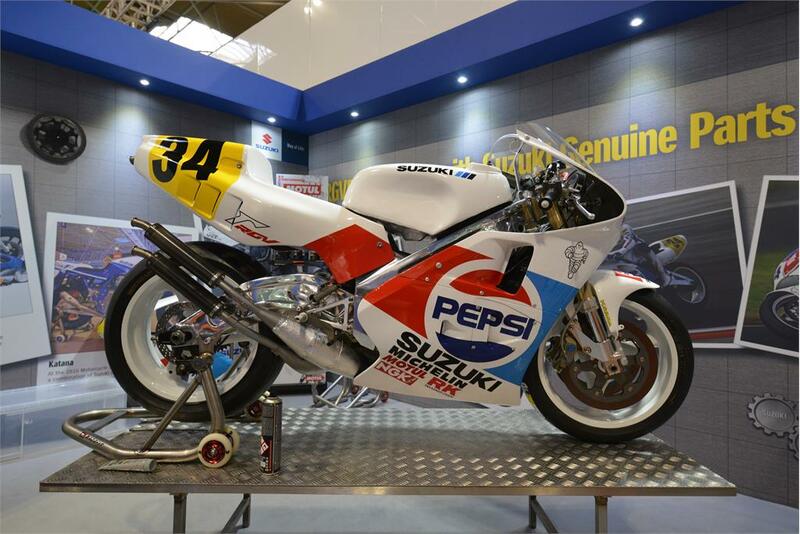 Kevin Schwantz’s 1989 Pepsi Suzuki RGV500 received a full strip-down and rebuild at last month’s Motorcycle Live Show in Birmingham, England as part of the Suzuki GB presence at the annual nine-day event. The iconic Grand Prix machine was completely stripped, before being carefully and meticulously restored by Team Classic Suzuki Chief Mechanic, Nathan Colombi. 1989 was arguably Schwantz’s best season for results, with only crashes preventing him from lifting the world title. He finished either first or second in every race he completed that season, taking six wins and a further three runner-up finishes. 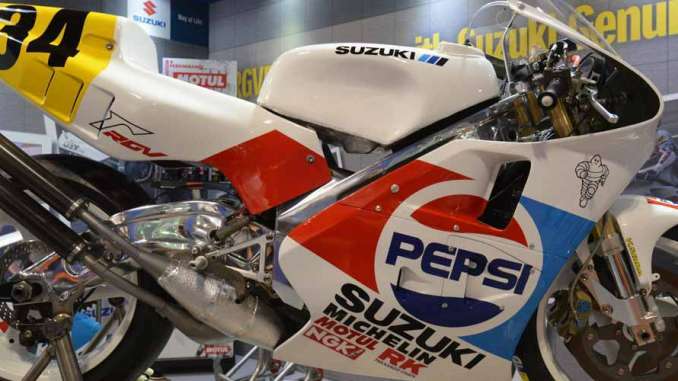 He would eventually lift the world title for Suzuki in 1993 and the Texan was named a Grand Prix legend in 2000. This particular RGV was originally kept by the team as a show bike at the workshop, but it had a partial rebuild in 2015 and Schwantz rode it at that year’s ‘Sound of the Engine’ event at the Suzuka Circuit in Japan. “It was all in remarkably-good condition both inside and out,” explained Nathan Colombi. 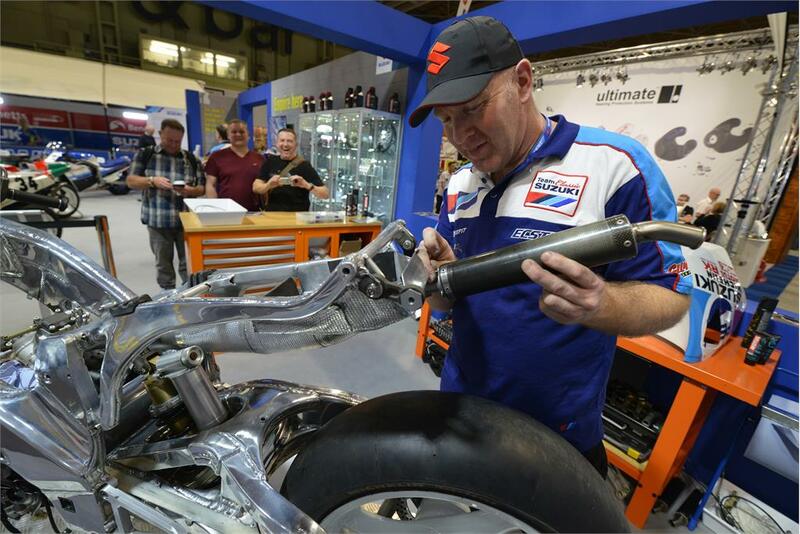 “We fitted new bearings and pistons and did a complete nut and bolt rebuild of the chassis during the Motorcycle Live event.